At Revital, they understand how important your every-day habits, diet and lifestyle choices are to your health. Their vision is not about creating a ‘new you’, but to help you be the best you can possibly be. 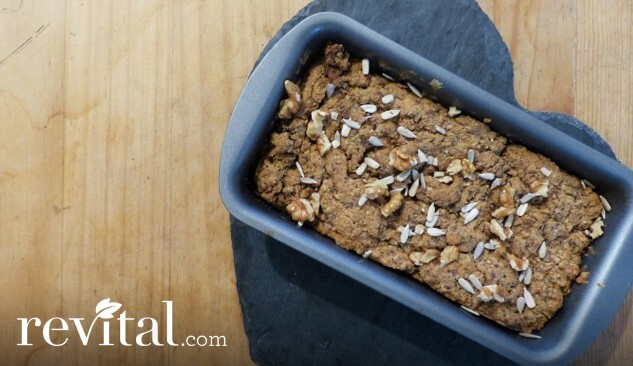 If that isn’t enough here are five gluten-free alternative reasons to love Revital from Revital’s Head Nutritionist Shona Wilkinson. Shona has vast experience in the supplement industry, she is a nutrition and health writer who specialises in the formulation of supplements. Gluten is a protein found in certain grains, including wheat, barley and rye. It is the constituent that gives elasticity and stickiness to dough. It can be present in high amounts in the average Western diet due to all the readily available foods that contain or are made from these grains. These include the most obvious — bread, pasta, cakes, biscuits, couscous, pizza, ready meals — but gluten can also be found in condiments, sauces, soups, gravy, stuffing mixes, stock cubes, sausages and many other prepared foods. Perhaps because gluten is so prevalent in our diet, some individuals may develop an intolerance or sensitivity to it. Their immune system reacts to the gluten and this may cause symptoms such as digestive disturbances, headaches, tiredness, and even joint pain. Coeliac disease is an extreme reaction to gluten, which is actually an autoimmune condition and means that the person has to exclude all sources of gluten for the rest of their life for full health to be restored and maintained. A general gluten intolerance or sensitivity is usually less severe than coeliac disease, and gluten may not need to be excluded long term. How do I know if I have a gluten intolerance? Food intolerance testing will show whether you have a gluten intolerance. If you suspect you may have a food intolerance but don’t want to do a test, you can keep a ‘food diary’ where you record everything you eat and your symptoms for a period of a week or so, to see if you can make any links. Or you may also already suspect that you have a gluten intolerance due to symptoms that you experience after you eat gluten-containing foods. 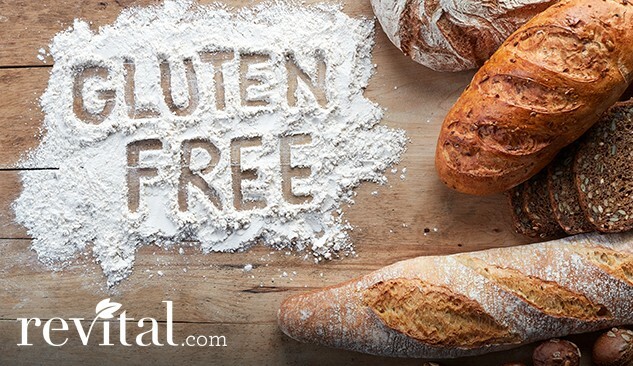 This may be enough to prompt you to try going gluten-free for a period of time to see if your symptoms improve. We would suggest trying this for a period of one to two months initially. Make sure that you find good alternatives to gluten-containing foods and, if in doubt, see a nutritional therapist for a proper food plan that will make sure you are not lacking any nutrients. Wheat, including wheat products such as bread, pasta, biscuits, cakes, couscous, breakfast cereals and so on. Alsowatch out for processed foods that contain wheat flour in any form. Barley. Although this grain is not used so frequently for breads, it is often used in beer, and barley malt is commonly found in sauces and other processed foods. Rye. This is mainly found in rye bread, rye crispbreads, and mixed grain breads. Spelt and kamut. These are ancient species of wheat that may be used in artisan breads and offered as an alternative to ‘normal’ wheat breads, cakes and so on. They may be better tolerated by those who are trying to avoid wheat, but they still contain high levels of gluten. Oats. Although oats do not naturally contain gliadin, the portion of gluten that generally causes gluten intolerance, they are commonly processed in facilities that may be contaminated with other grain flours such as wheat. You can find gluten-free oats, however, and these should be fine — make sure you look for those clearly labelled gluten-free. 1. Rice of any type. Try alternating or mixing brown, red and wild rice for more colour, variety and different nutrients. You can also find brown rice pastas in larger supermarkets and health food stores, which are an excellent alternative to normal pasta. Brown rice flour is great for gluten-free bread, biscuit and cake recipes — look for specific recipes that use it, as often other ingredients need to be added to make up for the lack of gluten. Brown rice pastas and flours are preferable in health terms to ‘white’ gluten-free pastas and flours, which may be based on potato starch, tapioca starch, corn and white rice flour and have a high glycaemic index (are quickly absorbed into the body and turn to glucose in the bloodstream). 2. Quinoa. This is not strictly a grain, but actually a seed. This gives it a different nutritional profile to grains — it is higher in protein, notably. It can be used like couscous or rice. Cooking quinoa with a stock cube is a great way to add flavour. Quinoa can also be found as flakes, that are great for making your own gluten-free mueslis or porridge (combine with other flakes such as millet and rice). 3. Buckwheat. Like quinoa, buckwheat is also a seed and, despite the name, not related to wheat. Although it may be harder to find recipes for using whole buckwheat, the flour is readily available and is used in some gluten-free baking recipes and can be used for making tasty blinis (like pancakes). Buckwheat has a great nutritional profile, including good amounts of the minerals magnesium, iron and zinc. Buckwheat crispbreads can also be found in health foods stores. 4. Maize (corn). In its whole form, maize is generally used as a vegetable rather than a grain, but it can be found in ‘corn cakes’ (like rice cakes) that are great if you want something crispy for spreads and dips. Maize/corn flours can be found in gluten-free alternative foods, but it is best to avoid those foods with a high percentage of this flour as, like potato and tapioca starch, it has a high glycaemic index. Millet. This can be used in millet mash instead of potato, or used as flakes in cereals. 5. Coconut flour. 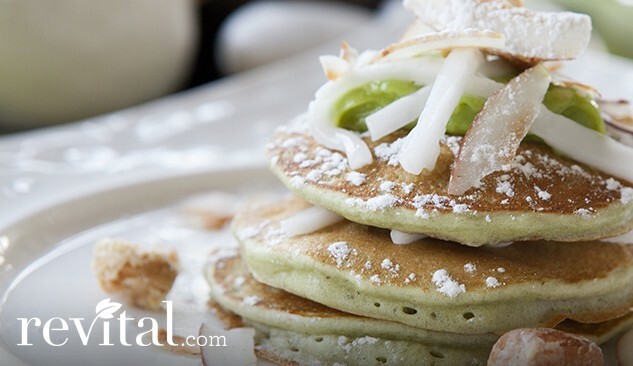 This is obviously not a grain, but coconut flour can be used for making excellent pancakes, cakes, brownies and more. Look for specific coconut flour recipes. It is much higher in fibre and lower in starches than most grains, which also gives it a low glycaemic index, meaning that it is more slowly absorbed into the blood and can keep you fuller for longer. Nowadays there are many ready-made gluten-free alternatives for breads, cakes, biscuits and so on in the ‘Free-From’ section of supermarkets and in health food stores. These can be helpful, but watch out for those with a high content of sugar (sometimes the first ingredient in these products!). Make your own alternatives at home using mainly brown rice flour, coconut flour or almond flour if possible. Look for good gluten-free recipe books. A good place to start is ‘The Gluten, Wheat and Dairy Free Cookbook’ by Antoinette Savill or ‘Cooking Without’ by Barbara Cousins. There are also many resources and recipes on the internet. The information contained in this article is not intended to treat, diagnose or replace the advice of your health practitioner. Make sure you consult a qualified health practitioner if you have a pre-existing health condition or are currently taking medication. Food supplements should not be used as a substitute for a varied and balanced diet.